Flex sensors are sensors that change in resistance depending on the amount of bend on the sensors. They convert the change in bend to electrical resistance-the more the bend, the more the resistance value. They usually in form of strip from 1″ to 5″ long that vary in resistance. The Flex sensors are analog resistors and work as variable analog voltage dividers. Inside the flex sensor are carbon resistive elements within a thin flexible substrate. More carbon mean less resistance.When the substrate is bent the sensor produces a resistance output relative to the bend radius-the smaller the radius, the higher the resistance value.. According to Spectra Symbol (the manufacturer), this simple 4.5″ flex sensor was used in the original Nintendo Power Glove, which was one of the first cool hackable electronic toys. As the sensor is flexed, the resistance across the sensor increases (bending with text on inside of curve). Connector is 0.1″ spaced and bread board friendly. *Note: To ensure sensor longevity, make sure to add strain relief between the connector and the plastic backing. 5. 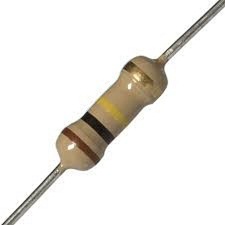 Measure the SN-RLX-1 and SN-RLX-02 resistance when it is unflexed and it is flexed to 90 degree in order to choose the suitable resistor for voltage divider purposed. 6. Next, connect the circuit as the schematic provided. 7. Plug in the power supply. Bend the flexible bend to certain degree to observed the voltage change by using digital multimeter. 9. Load the source code the the BBFuino. Bend the flexible sensors and observed the result. From the result obtained, the value obtained was roughly the same as the theoretical value. The used for this tutorial is PIC16F876A. 4. Load the source code the the SK28A. Bend the flexible sensors and observed the result. From the result obtained, the voltage obtained was roughly the same as the theoretical value. This project uses SK28A to show the RGB LED. The RGB LED is a special type of LED which can emit three coloured lights, which are the Red, Green and Blue, hence the RGB acronym. When one of these colours mixed together it will give you another new colour. By using the microcontroller’s PWM channels to drive the LED, you can control the intensity of each colour which can give you many shades of different colours. The flex sensor interfacing is very seful for our project. i need assembly language program for flex sensor interfacing. plz send it to our mail id. Sorry, we only have the C code for Arduino and MPLAB. You need to understand the program and translate it into assembly. You may consider to get the BBFuino (Arduino compatible) or SK28A (28-pin PIC Start Up Kit) from Cytron too. Thanks.